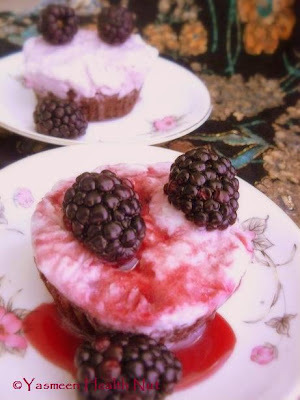 Ramadan is just around the corner and its absolutely essential to remain on healthy diet to be able to fast on long summer days. Dates are quintessential fruit of Ramadan. 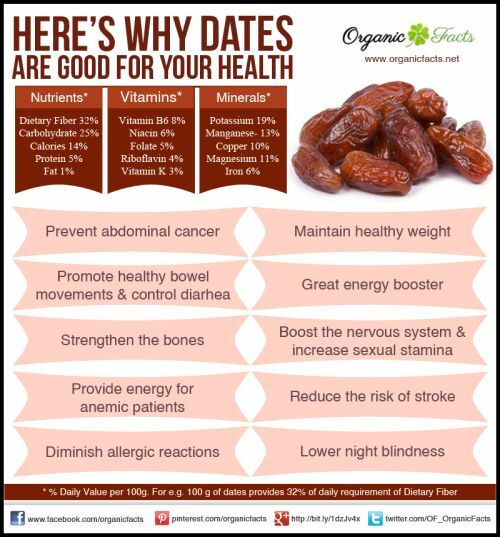 The phenomenal list of nutrients and health benefits of Dates simply unbeatable. It's tradition of Prophet Muhammad(peace and blessing of Allah be upon him) to break fast in Ramadan using Dates. This is the beauty of Islam ,with tough challenges it also provides easy essentials to pass through those tough challenges. 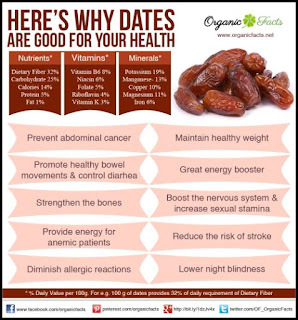 Dates are easy to digest so they don’t exhaust the fasting person stomach. Dates decrease the great hunger feeling of the fasting person and so he doesn’t rush into excessive food eating which causes digestion disorders. Dates prepare the stomach to receive the food after being inactive through out the day with activating the release of digestive secretions and juices. 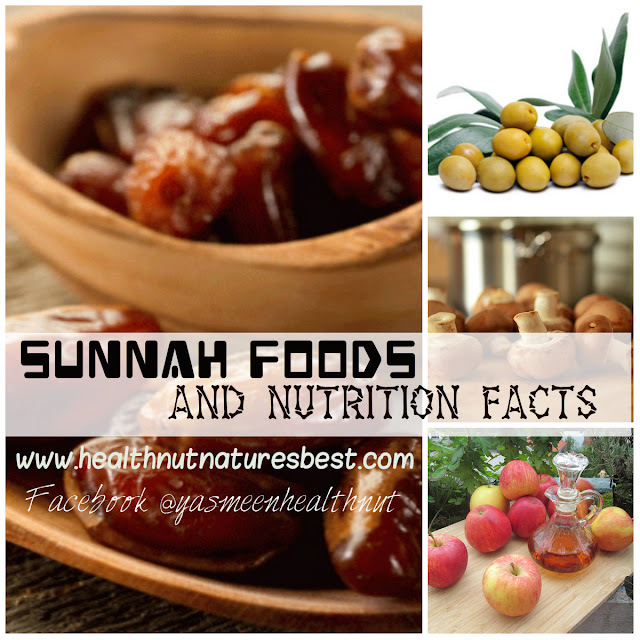 Dates are very rich with sugary energy and so the body is supplied with the most important nutrients which is sugar that is irreplaceable as a nutrient for the brain cells and nerves. Dates protect the fasting person from having constipation as a result of changing meals times or as a result of having low fiber amounts in meals. 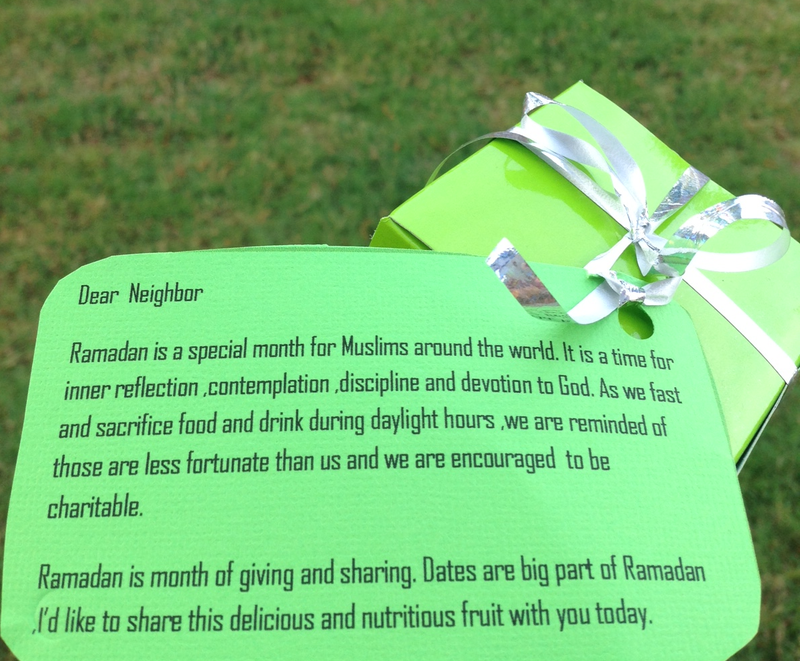 And also part of Ramadan is to share this goodness, don't forget to share this tradition with your neighbors ,friends and colleagues. 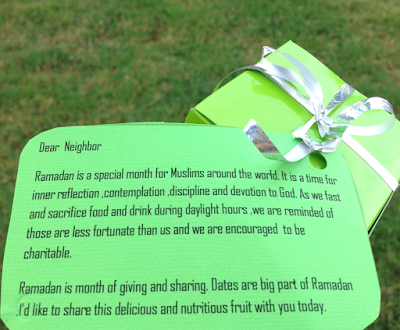 Here is an awesome Dates for your neighbors idea ,a very special gift indeed for Ramadan. Some great points on dates there, lovely! I didn't know about most of them other than the obvious that is a sunnah. 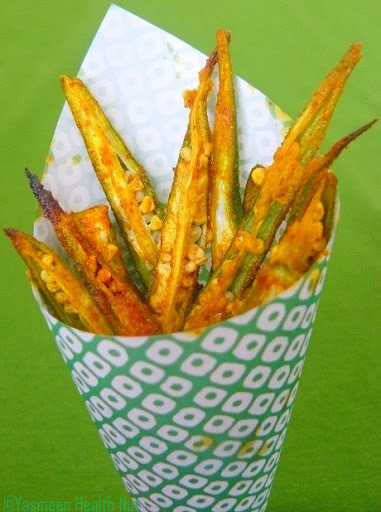 New Diet Taps into Innovative Concept to Help Dieters Lose 23 Pounds in Just 21 Days!